Though my week was short at the museum I was busy working on the individual artifact sheets. I am taking the information that Patrick Cruz shared with me during his visit to the museum and reviewing the artifact information that each folder contains. The goal is to try and gather as much information on each artifact as possible for each file. 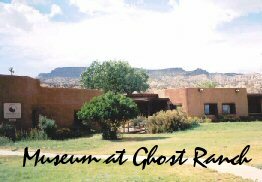 The end of the week I traveled to the Ghost Ranch in Abiquiu, New Mexico for a photography class, while I was there I stopped by the museum at the ranch. I was warmly welcomed and was extended an invitation by the manager of the museum to go on a private tour when I shared with her about my internship at ASU. She showed me their work room, storage area of their artifacts, and she took the time to show me some of the accession records they have for the artifacts. I was impressed with their record keeping. I asked the manager if she knew of potters named Doris Gato or Petra Tafoya, unfortunately she did not. She did however give me the contact information of a gentleman who works at the Santa Clara Pueblo Gallery who might know. It has been amazing what an incredible bond curators/ museum managers/staff have with each other. I am delighted to be a part of this group of hard working individuals. An in-service was held this week to show staff of the museum how to set up the webpage for the Salazar Rio Grande del Norte Center. I selected “Lucie’s Journey” as the name for my blog, I am excited that people visiting the site will be able to read about my journey as an intern. I am positive that whoever reads my blog will learn something new from one or more of my blog posts. I hope you will enjoy reading, “Lucie’s Journey”. On Saturday I took a trip out to the Rio Grande where the river enters the box canyon and continues its journey across the border into New Mexico to take photographs for the webpage. Along the way I passed Lobatos where I grew up, the T-Bone Ranch where my dad worked for several summers, and Punche Valley where my grandpa Trujillo worked as a vacquero. As I past these places many memories came to mind. As my husband Geronimo, my son Tomas, and I stood looking at the Rio Grande we shared stories of times we had been there with my dad Enos Ruybal. 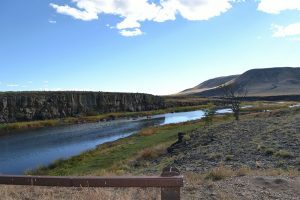 I dedicate these pictures of the Rio Grande on the webpage to my dad…rest in peace dad.